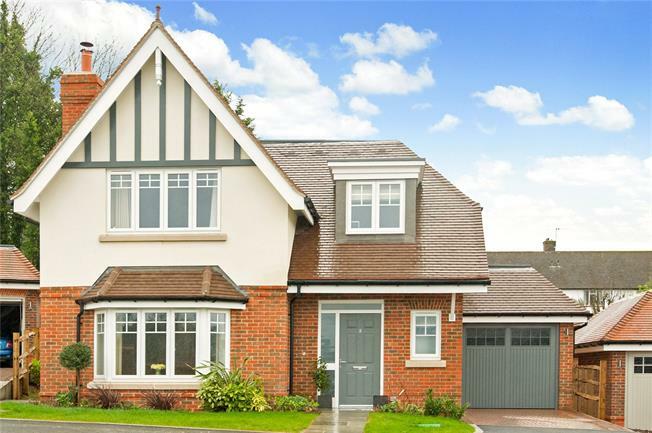 4 Bedroom Detached House For Sale in Epsom for Offers in excess of £875,000. This beautifully presented and wonderfully bright and airy four bedroom detached house was the former show home within the Nower Close development by Shanley Homes in 2018. One enters into a spacious hallway which opens into a lovely sitting room with a wood-burining stove as well as a kitchen diner/family room, ideal for families to spend time as well as socialising and relaxing. French doors open onto a pretty rear garden with patio area and flower beds at the back. The bedrooms on the upper floor are all a good size, with the two principal bedrooms having built-in wardrobes and the master having an ensuite shower and views over the garden. With a light, contemporary decor throughout, a modern kitchen and utility room, garage and additional off-street parking, the house would make the ideal long-term home for any discerning buyer who loves to entertain and impress.